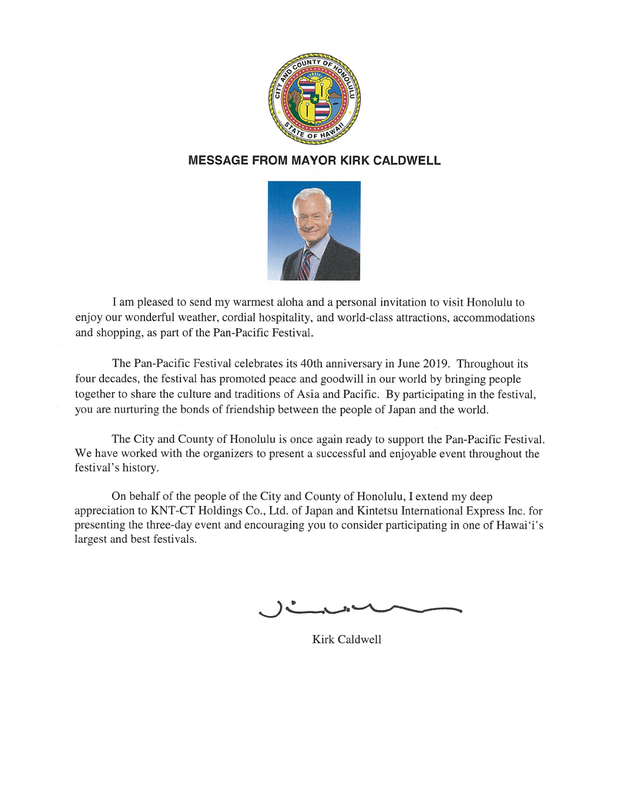 The State of Hawaii and the city of Honolulu supports the Pan-Pacific Festival and its mission to promote international friendship and understanding through the sharing of cultures. Hawaii’s broad international tourism appeal and its multi-ethnic resident population make it the perfect location for this festival which features an eclectic assortment of cultural arts, crafts, food and stage performances in a variety of settings in and around Waikiki throughout the weekend. In 2008 the logo was redeveloped as the Pan-Pacific Festival prepared for its 30th anniversary. The new logo now symbolizes the Festival more accurately: as an international festival bringing various cultures and people together and creating a more global community through the sharing and celebration of cultures. Planning and staging an assortment of high profile events located in and around Waikiki. Through viewing of or participation in such events, people can appreciate and begin to understand other cultures and hopefully create connections and friendships with other they may have not crossed paths with otherwise. Recruiting “grass roots” cultural organizations, locally and abroad for Festival event participation and encouraging them to include an educational aspect for the public. Promoting event attendance through marketing campaigns abroad, locally to residents, and Waikiki to visitors. 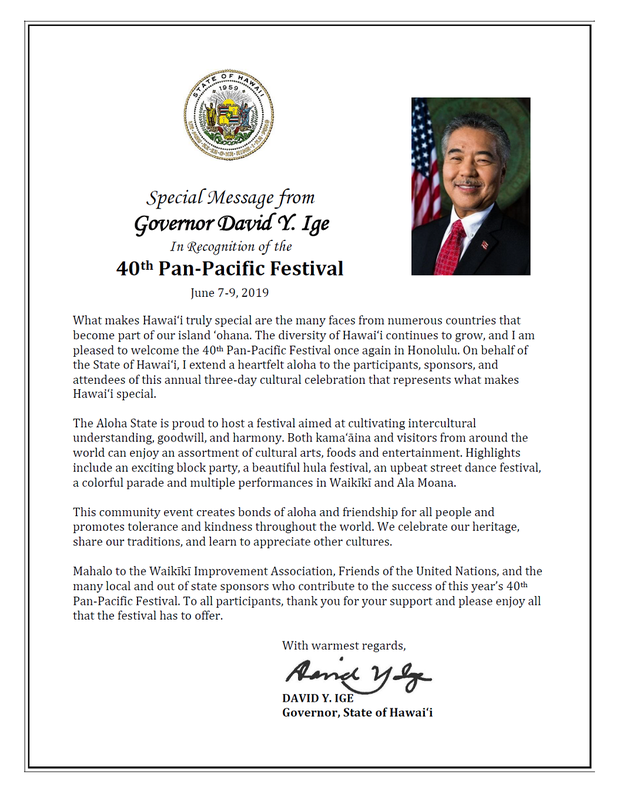 The Pan-Pacific-Festival is an annual international cultural celebration held in Hawaii during the month of June. The Festival features an eclectic assortment of cultural arts, crafts, and stage performances in a variety of events. Hawaii’s broad international tourism appeal and its multi-ethnic resident population make it the perfect location to cultivate intercultural friendships, goodwill, and understanding. In the late 1970’s the number of travelers from Japan to Hawaii dramatically increased. A small group of people wanted to ensure that the increased interaction between these two cultures would be both enjoyable and educational. Thus, the very first Matsuri in Hawaii was born in 1980. The word “MATSURI” is a Japanese word meaning “FESTIVAL”. Matsuri in Hawaii was envisioned as a means to enrich the lives of both participating artists and audiences, including Hawaii residents and other travelers visiting Hawaii, with a rewarding and participatory exposure to traditional Japanese culutre. Matsuri in Hawaii allowed visiting participants from Japan to share their music, crafts, traditions, and foods with others in the beautuiful setting of world-famous Waikiki, while Hawaii residents and other Hawaii visitors gained a deeper appreciation of Japanese sensibilities and cultural heritage. 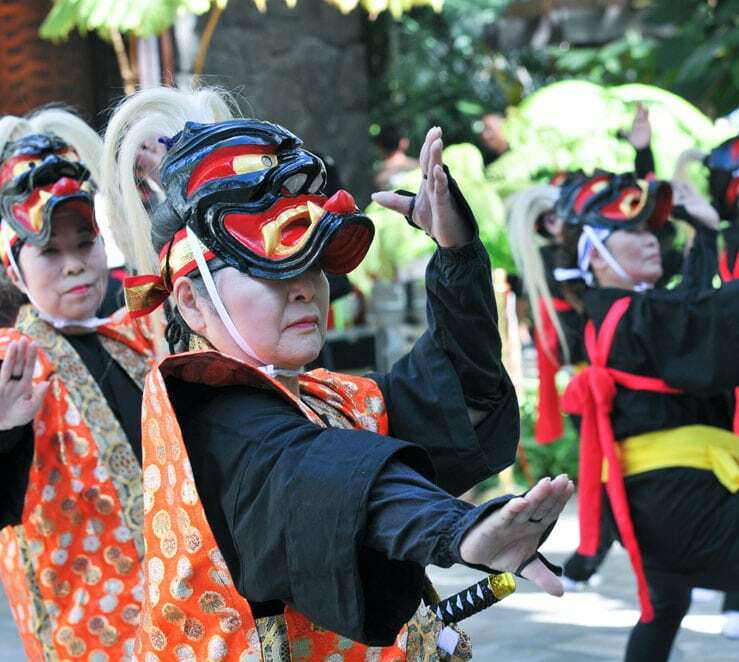 By highlighting traditional folk music and age-old arts and crafts and bringing internationally respected performers to Hawaii, Matsuri has served Japan as a sort of cultural goodwill ambassador, introducing the people of Hawaii and it’s many visitors to the richness of the Japanese culture. Today, the most popular events continue to be those that. 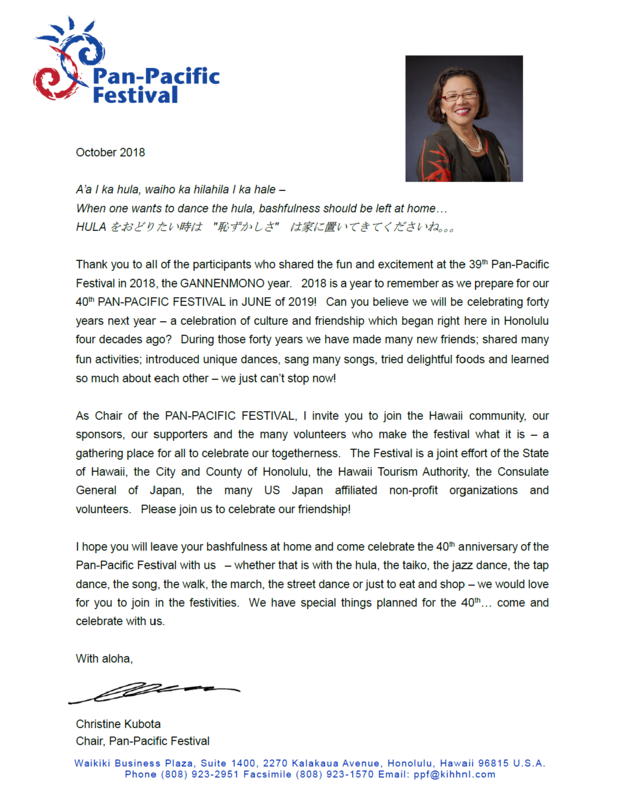 In 1996 Matsuri in Hawaii became known as the Pan-Pacific-Festival as it broadened its capacity to include other cultures form Hawaii’s rich melting pot. However, the Festival is still called Matsuri in Hawaii in Japan and continues to have a strong following there. In 2008 the logo was redeveloped as the Pan-Pacific-Festival prepared for its 30th anniversary. The new logo now symbolizes the Festival more accurately: as an international festival bringing various cultures and people together and creating a more global community through the sharing and celebration of cultures. The Pan-Pacific Festival logo has gone through several changes over the last 30 years. The most recent transformation was in 2008. The current logo was designed to incorporate the Festival’s current multicultural scope. The two swirls are a representation of the ocean – an important source of food and where all life begins. It is a connection that all countries of the Pacific Rim share. The Festival participants come from very unique countries, but yet they all touch the very same waters of the Pacific Ocean. The splashes at the top of the logo further illustrate energy, activity and motion. 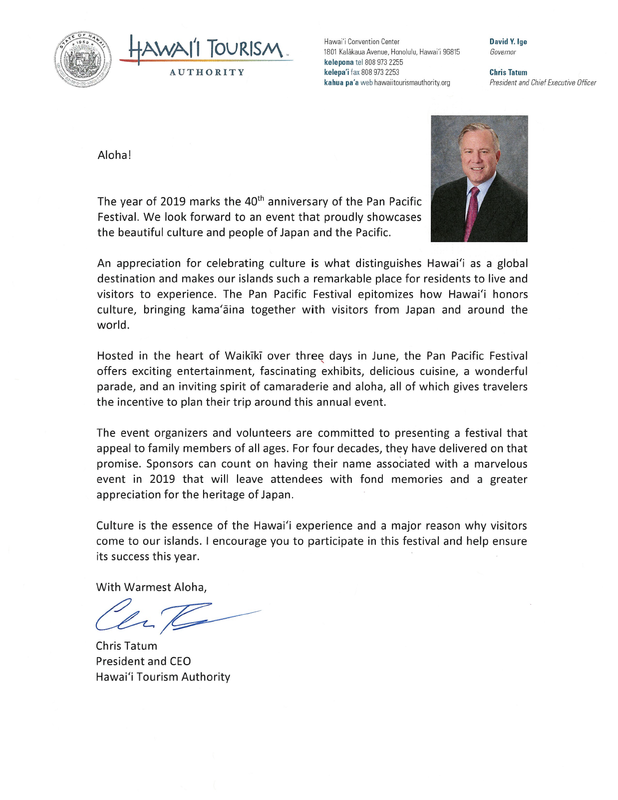 It resembles the waves of the ocean which can bring plants and birds from miles away to grow and prosper in far away lands, Similarly, the Pan-Pacific Festival brings a diversity of cultures and people together to celebrate their heritage collectively her in Hawaii. The interconnection of the swirls symbolizes the sharing of cultures. This image embodies the goal of the festival, which is to foster goodwill and understanding: to cultivate friendship between people: and to nurture appreciation of diversity. Flowers are an international symbol of friendship, often given in expression of love and appreciation. The Hibiscus represents the host state of Hawaii and the Cherry Blossom represents Japan, the country from which the facilitating organization originated. The circular shape of the logo symbolizes Earth and Humanity. 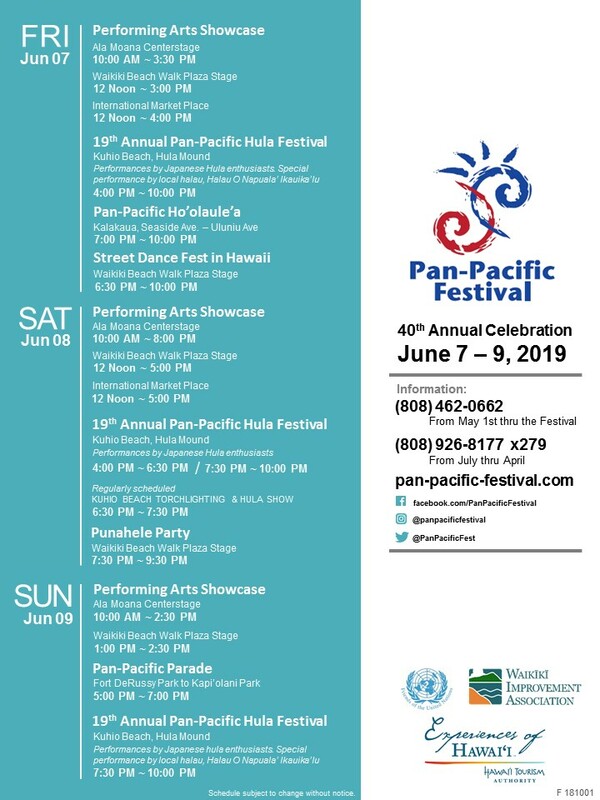 The Pan-Pacific Festival is an international festival bringing various traditions and people together and creating a more global community through the sharing and celebration of cultures.